Sign up for email alerts to receive company updates including press releases, filings and special announcements straight to your inbox. 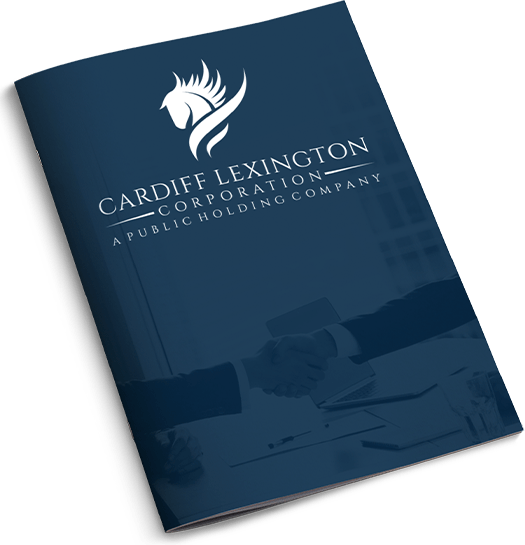 Cardiff Lexington is a public holding company, much like a cooperative, leveraging proven management in private companies that become subsidiaries under the Cardiff Lexington umbrella. Our focus is not industry or geographic-specific, but rather on proven management, market, and margin. We are opportunity oriented. Cardiff Lexington targets acquisitions of mature, high growth, niche companies. Cardiff Lexington's strategy identifies and empowers select income-producing middle market private businesses, technology companies and commercial real estate properties. Cardiff Lexington provides these companies both 1) the enhanced ability to raise money for operations or expansion, and 2) an equity exit and liquidity strategy for the owner, heirs, and/or Investors. For investors, Cardiff Lexington provides a diversified lower risk to protect and safely enhance their investment by continually adding assets and holdings. Cardiff Lexington is led by strong and talented roster of executives and advisors providing expert acquisition, market guidance and added value for subsidiaries and investors. Our people are our backbone. Touting years of experience in a variety of fields, our leadership team is the source of our success. Standard Registrar and Transfer Co., Inc.